Yes, we require a referral from your GP or medical specialist before your initial appointment. However, we are always available on the phone or email for general information. Yes, the clinical facility is on the ground floor with wheelchair access and disabled-access toilet. Yes, there is free, on-site parking, close to the entrance of the facility for easy access. Can Prosthetic services be claimed under Medicare? No. Unfortunately Medicare does not provide funding for external prosthetic services/devices. However, NDIS is being rolled out across the country. Please visit NDIS for more information. ProMotion Prosthetics is a Registered Provider with NDIS. Can ProMotion Prosthetics access the Victorian Artificial Limb Program? No. Currently ProMotion Prosthetics does not have a contract with a registered Amputee Unit allocated funding under the VALP grant. However, NDIS is being rolled out across the country. Please visit NDIS for more information. Which services can ProMotion Prosthetics provide prostheses for? Limbs 4 Life is an Australian run organisation that provides information and support to amputees and their families while promoting an inclusive community. The Limbs 4 Kids program is an initiative of Limbs 4 Life, Australia’s peak organisation supporting children and young people with limb differences and their families. The Australian Orthotic Prosthetic Association Ltd is the peak professional body representing orthotist/prosthetists in Australia. AOPA self regulates the profession and sets standards and codes which are upheld by the membership. 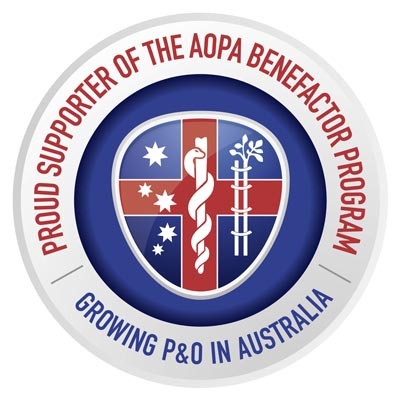 Currently AOPA has over 400 members and represents more than 75% of all practicing orthotist/prosthetists in Australia.